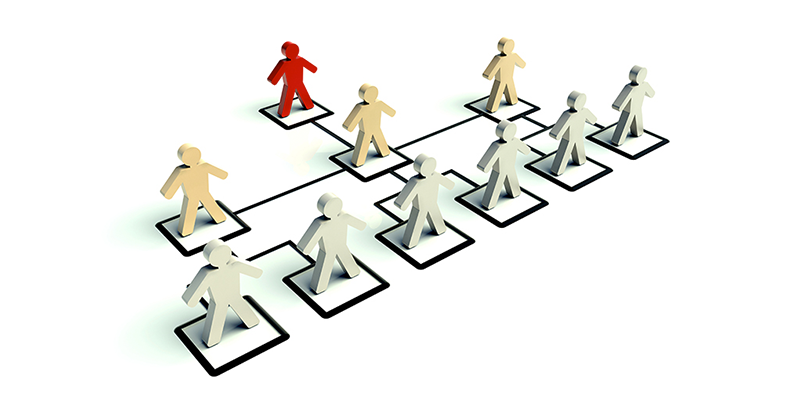 The organizational structure of a residential real estate office has changed drastically over the years. You used to walk into a brokerage to find an office manager who has a broad enough background to be able to support agents in all areas of the business. It is now more difficult to find someone to fulfill that role and subsequently, less likely. HomeSmart Chief Operating Officer Wendy Forsythe, discusses organizational management and the deconstruction of the one-size-fits-all office manager in an article with RISMedia. The classic organizational structure of a real estate brokerage company has positioned the real estate office manager as the linchpin of the organization. This individual is the master of all things related to running the office and has the day-to-day responsibility of juggling all the balls in the air. They are the one-size-fits-all T-shirt of the real estate industry—but do they represent the future? The career path to becoming an office manager typically starts with real estate sales. An individual enters the industry as a salesperson, does well, shows some promise and is offered the opportunity to manage an office. In other cases, an individual moves into this role when they advance from being a successful salesperson to opening their own brokerage. The evolution of the industry—with technology, different business models, growing popularity of teams and a more sophisticated consumer—has added the one-size-fits-all office manager to the endangered species list. Finding one person who has a broad enough skillset to provide leadership and guidance to agents across all the varied areas of the business has become more and more difficult. Adding to the complexities of finding this person is then retaining them. An individual with the skillset varied and advanced enough to do a good job in the role of one-size-fits-all office manager is typically worth more than a company can afford to compensate them. This makes demand high and competition to retain this individual fierce. Organizational management is a well-adopted business method of analyzing, planning and leading a company’s resources with the goal of achieving its objectives. The process allows leaders to build a path to success by breaking up the company into sections, so they can gain a clear understanding of each department’s goals and how to implement them most effectively in order to get each one aligned to accomplish those goals. In single-office companies, typically the owner of the brokerage is also the one-size-fits-all office manager. In this type of business model, the deconstruction of the office manager happens by delegating all or parts of the job description to other people who will support the broker/owner. The broker/owner looks to their current roster of agents for people with a passion for and strengths in the key areas of compliance, training or recruiting. These people typically continue to sell and supplement their incomes with the additional responsibilities. It is often challenging for small brokerages to make the numbers work to allow for compensation of multiple people as part of a management team. If that can be solved, this offers a lot of flexibility to the broker/owner and additional support to the agents in the company. In large brokerages, the organizational chart for team management, along with the revenue necessary to support a management team, is often an easier part of the equation to solve. A recruiter, trainer, broker support and their teams can support multiple offices across a wide geography. The owner or owners then become responsible for leading this team and fostering culture, providing strategic direction, oversight and accountability to results. This allows the owner or owners to continue to drive the entrepreneurial spirit of the organization without getting bogged down in the day-to-day operations. Historically, multiple-office companies have been known to find themselves vulnerable to the one-size-fits-all office manager. Because the agents have a relationship with that person, if he or she leaves, there is a real risk that producing agents will follow them to their new company, thus leaving the current owner feeling like they are being held hostage to the office manager. When the office manager role is deconstructed, this risk is more limited. A member of the management team may leave, but the agents have relationships with several people. So, while they may have held affection for the leaving employee, they are less likely to feel like they need to change brokerages along with them. They still have the support and familiarity of the other management team members. A professional athlete doesn’t just have one coach; they have a coaching team that supports them in performing at their highest level. Professional REALTORS® are required to have a diverse skillset, and be constantly motivated, focused and driven. The brokerage reorganization and growing demise of the one-size-fits-all office manager is a trend directly connected to the changing market and the fast-paced changing real estate industry. For years, there has been a consistent call to action to raise the level of professionalism in the real estate industry. Brokerage owners have been called upon to take the lead in this charge by being more stringent on whom they hire and holding their agents more accountable. The adoption of organizational management could be the answer to finally moving the needle in the advancement of the general quality of the real estate professional. Wendy Forsythe has leveraged her passion for real estate, operations and branding to help build successful real estate networks in both Canada and the United States. She is currently the chief operating officer at HomeSmart International. HomeSmart combines a transaction fee business system with high service and robust technology. To learn more visit HomeSmart.com/join. You can reach Wendy directly at Wendy.Forsythe@HomeSmart.com.